I feel I should be panicking, worrying, freaking out, being mad, going crazy, having a nervous breakdown, doubting in the meaning of life, wondering why us. The Sheriff in Brewster told me he knew a father in my situation who had become an alcoholic. The doctor in charge of disability in Hamburg told me that most couples looking after their child at home would get a divorce. The truth is that I have never felt as calm and confident and strong and purposeful in my life. It’s the dreamboater thing: knowing that you can achieve the impossible; being supported by incredible friends who will never let you go; defying misleading but well established truths; believing in justice; being convinced that you can be the change. Pádraig is getting better. He is surrounded by friends, old and new. There is a buzz here in the house that I wouldn’t believe could exist if I did not experience it every day. It’s challenging for him, exciting, funny, and loving. It’s the energy he shares and which keeps him not just going but growing. Pat is getting better too and will hopefully be out of hospital by the end of the week. Someone told me today that Dublin mothers, sisters, and grandmothers add a pinch of bread soda to the water in which they cook cabbage. 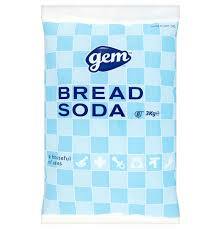 I asked her why, what does the bread soda do to the taste or texture of the cabbage? She looked at me and said: that’s what women in Dublin do when they cook cabbage. That’s just the way it is. They’ve always done it that way. There is this idea that some ‘truths’ are established so firmly that you’d never question them. I was thinking: I’ll take the bread soda out of the cabbage and start questioning those well-established ways of doing things. Beginning with the obvious. Best wishes to Pat and Padraig. Re the baKing soda it gives the cabbage a lovely I tense green colour but it kills the vitamins -or so they say….